When Pipkin blushes, even his ears get a little pink. Pipkin got to work this morning baking one of his favorite easy breakfast items — the banana poppy seed bread in muffin form. He's made that banana bread so many times he's got the recipe memorized. Or, so he thought. After he popped the muffin trays into the oven, he happened to peek at the blog entry and realized he forgot to put in baking powder! No wonder his banana bread had come out so flat last time! He thought that the squishy sides of his silicone bread pan spread out the loaf and that's why it didn't grow tall. Nope. Turns out he forgot to put in baking powder. Funny thing is, he posed in a picture with the baking powder. See? Not pictured: flour, which is very important. 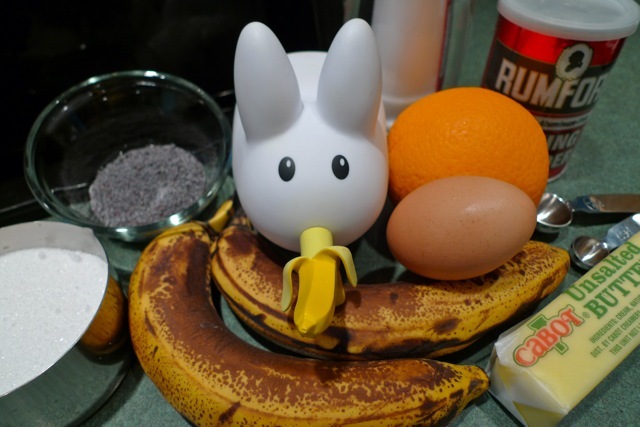 Quick like a labbit, he got the muffins out of the oven, poured the batter back into his mixing bowl, and added a teaspoon of baking powder before spooning the batter into the muffin tray and popping it back into the oven. Phew! No one wants flat muffins, right? 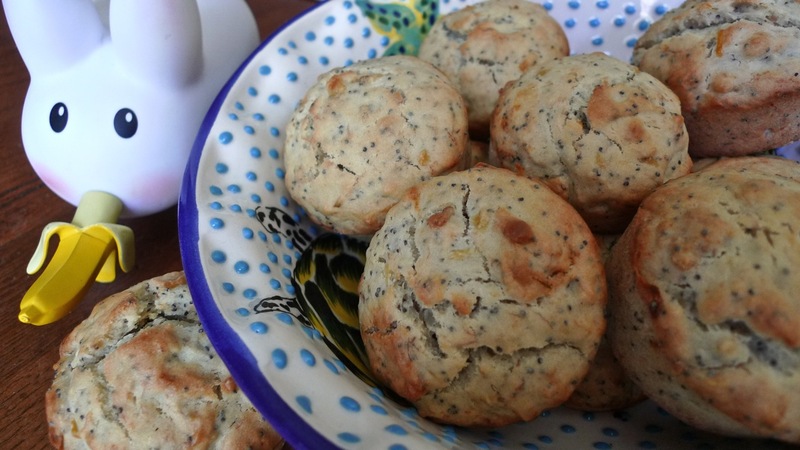 And not to worry, Pipkin has corrected the error on the banana bread entry, and he's included this recipe remix on that same page, so you too can make these easy muffins for breakfast. Pipkin's a little embarrassed now, but he hopes you'll forgive him. Labbits make mistakes just like everyone else.